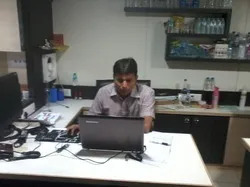 We Associated Pack Tech Engineers was started as a Proprietary firm in the year 2000, with a goal to attain proficiency in the field of manufacturing and exporting of Sealing, Packing, Filling and Labeling Machines. Our composed endurance and the craving for success pushed us towards the pinnacle of achievement in the market. 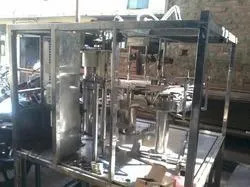 The best class products manufactured and supplied by us includes Automatic Foam, Fill and Seal Machine, Bottle rising Filling Machine, Soda Filling and Screw Capping Machine, Automatic Bottle Filling Machines, Foil Sealing Machine, Bottle Washing Machine, Tube Filling Machines, Liquid Filling Machines and Water Pouch Packing Machines. Our effectual excellence auditor’s work in accordance with the global quality values inspects all products at each phase of the manufacturing process. We own hi-tech industrial units involved in making the best utilization of groundbreaking techniques. As we have a dense distribution system and bets transport facilities the demanded products are transported timely to our customers. Our staff is efficient in moulding the goods in sizes and bulks essential by the industry. 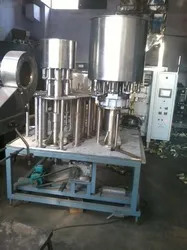 Manufacturing and Trading of a wide range of sealing, packing, filling and labeling machines, which are highly effectual and tough in quality. “Business breakthroughs come from finding faster, cheaper, better, easier ways to perform a task”. Guided by this universal law, three visionaries joined hands to form a dynamic organization in 2000. All Pack Engineers was conceived, with an undying commitment to engineering excellence. • Excellence that enables superior workmanship. • Excellence that ensures product reliability. • Excellence that transforms into customer satisfaction. The customers have unanimously appreciated the quality of our machines. Our voluminous market experience and strict adherence to cost effective techniques of production enable us to offer our products at market leading prices. Today we have to our credit a countrywide and international customer base. We have satisfied customers in India and globe. We have hired a group of capable employees, which work professionally in all the phases of the trade. They smear rich business knowledge, in-depth know-how and groundbreaking methods in developing the obtainable l machines. Our group members interrelate with the customers and progress these products conferring to the stipulations exhaustive by them. We also assemble consistent training sessions and workshops for our staffs so that they can endure updated with the modern technological progressions. At present, we have more than 100 employees betrothed in dissimilar sections of our organization. Africa, Middle East, Sri Lanka, Bangladesh, Afghanistan, Bhutan, and Nepal.